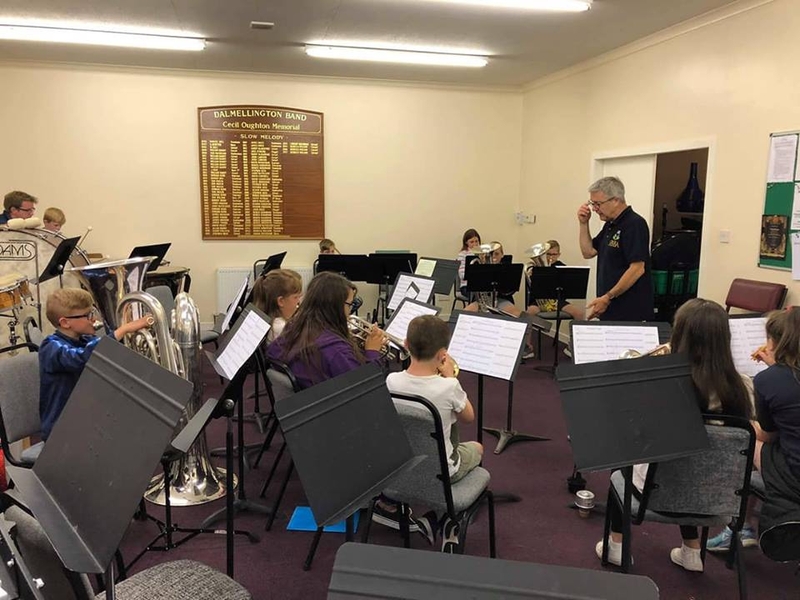 The young musicians of the Dalmellington Brass Academy attended a summer course in the senior band room from 9 to 11 July. 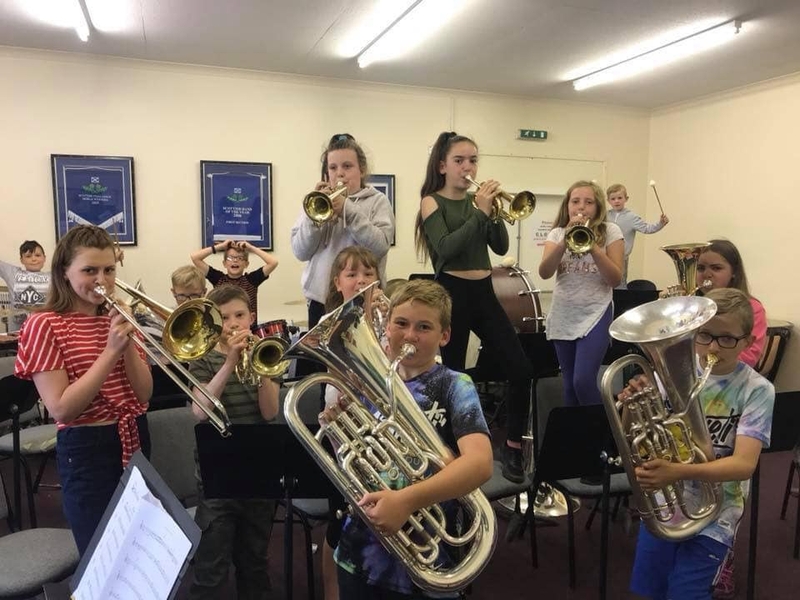 Organised by a team of senior band players; Karin McKenzie, Lyndsay Brown, Rebecca Wilson, Fiona Kennedy and Euan McNicol, the Brass Academy worked on some new music from ‘Pirates of the Caribbean’ and tackled Alan Fernie’s Prismatic Light. 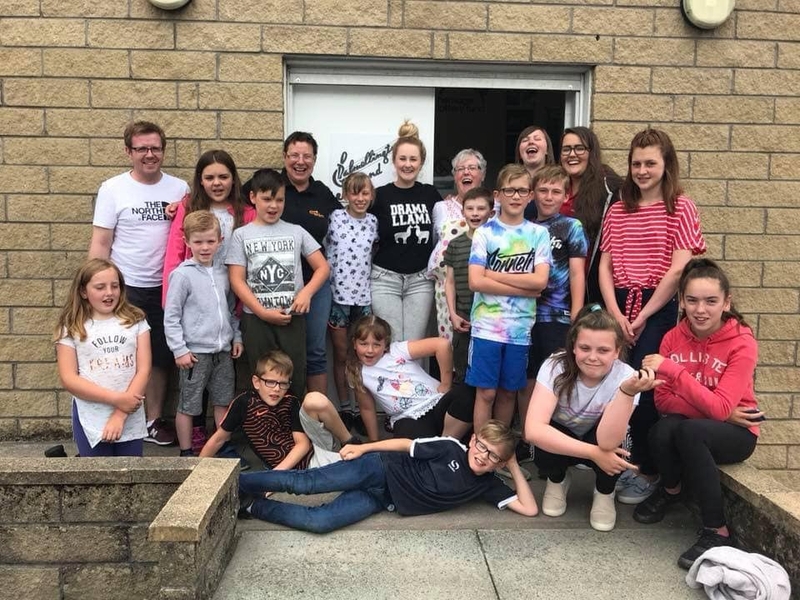 John Boax, the Education Officer at the Scottish Brass Band Association (SBBA), worked with the youngsters on the first day of the course and was very impressed with how enthusiastic everyone was, especially on such a sunny day during the school holidays. Tuesday and Wednesday saw the inspirational Helen Minshall take the band through its paces.